Cortney Heimerl (some of you may know as the co-author of Handmade Nation and/or mother of magic baby Abe) asked about 6 months ago if I'd like to be one of the featured artists on her project Print Shop Forever and now the time has come [TODAY] for my edition of 10 Southeast Asia themed Treasure Balls to be for sale. 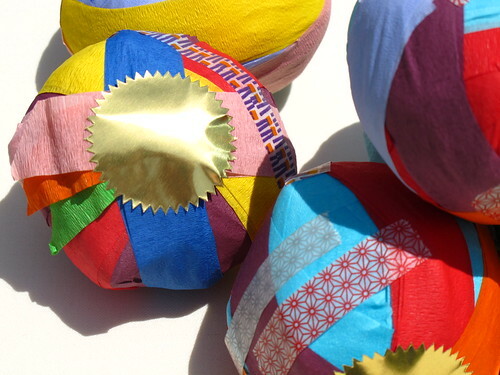 Treasure Balls: South East Asia series are the creation of artist, curator, filmmaker, collector and author Faythe Levine. Generally based in Milwaukee, Wisconsin, Levine also spends much of her time traveling the world coordinating programs surrounding handmade and creative empowerment. During these travels she compulsively photographs her explorations of markets, fairs and boutiques documenting her travels through her blog “I Was Born in 1977″. Through her exploration, her creative process has continued to evolve now incorporating small, obsolete souvenirs, which have spent lifetimes on shelves overlooked by others. As time has passed, this ephemera has found a place within her work. 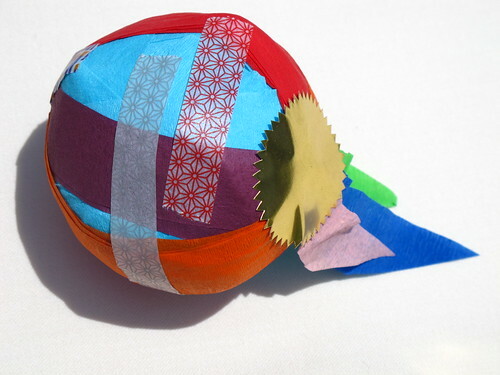 Inspired by the “Surprise Balls” she saw in 2008 at Kisok in New York, Levine has dubbed her version “Treasure Balls”. These art objects can be left as a mystery or slowly unwrapped to unveil the treasures hidden inside. This series is inspired by her recent travels in Bali and Thailand where there is no shortage of small, beautiful and bizarre objects. 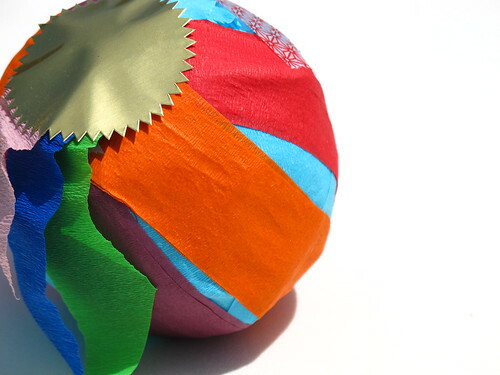 Each Treasure Ball contains 15 small treasures. Photos courtesy of: Cortney Heimerl & Print Shop Forever.